Got a two tone interior...still like it? Looking at white exterior and can't make up my mind if I got the beige and black interior if it woudn't get old over time. Alternative is black. Opinions??? Still like it if you got it.? I think i would go with black, which I did in 3 days ago. Beige and black is shape. It's nice at first, but it will get old fast. 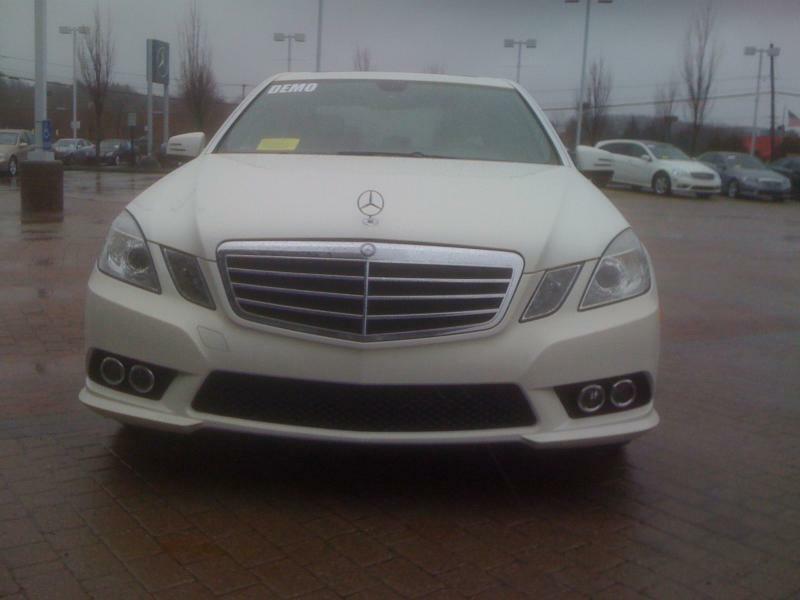 In fact, i think it's too flashy for a family sedan. Black leather is the color/style/condition that last much longer. Go the two tone. This is an E Coupe, but still the same. 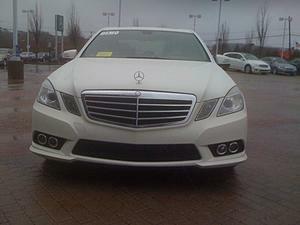 2010 S550, '10 Road glide, '10 Sportster "48"
I have a two tone beige/black in my E550 sedan. The exterior color I have is capri blue which is very dark. If I were to go for a white exterior I would have gotten a black interior. No question about it. Two tone, especially beige is more of a sedan choice. If you want a two tone, then go with white/black that is available for coupes. Love the tow tone interior on the sports. Get the two-tone interior! 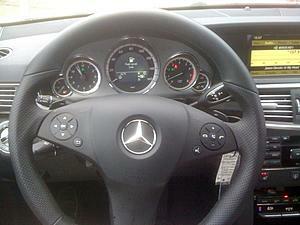 I have experience with both interiors, my C-Class has all Black and the W211 E550 has Sahara Beige/Black two-tone. The two-tone adds so much visual interest, especially to a White car, and looks much richer and more luxurious than an all Black interior. 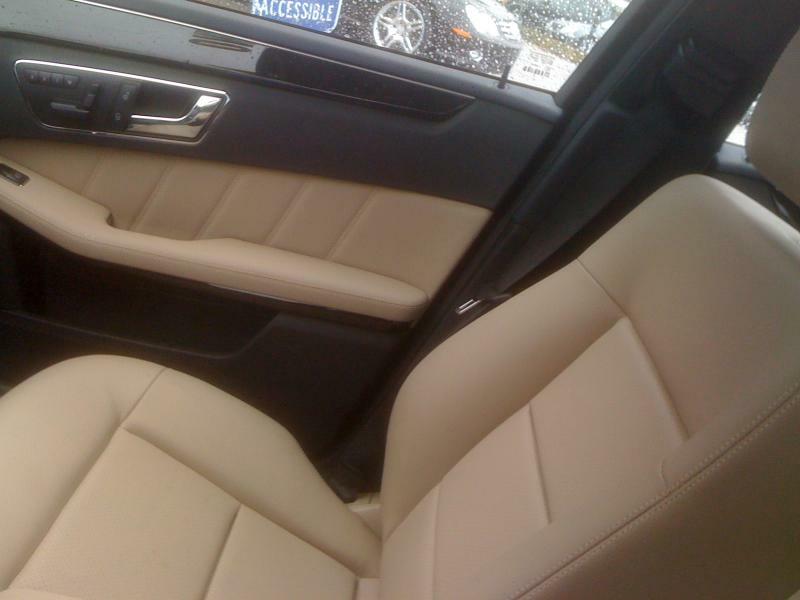 I can't count how many times people have complimented the Sahara Beige interior when they get into my E-Class, and I'm talking about mostly non-car people. Are you considering the Almond Beige or Natural Beige? Both are great, the Natural Beige is especially stunning, it reminds me of the Saddle leather color Mercedes used to offer back in the 90s. 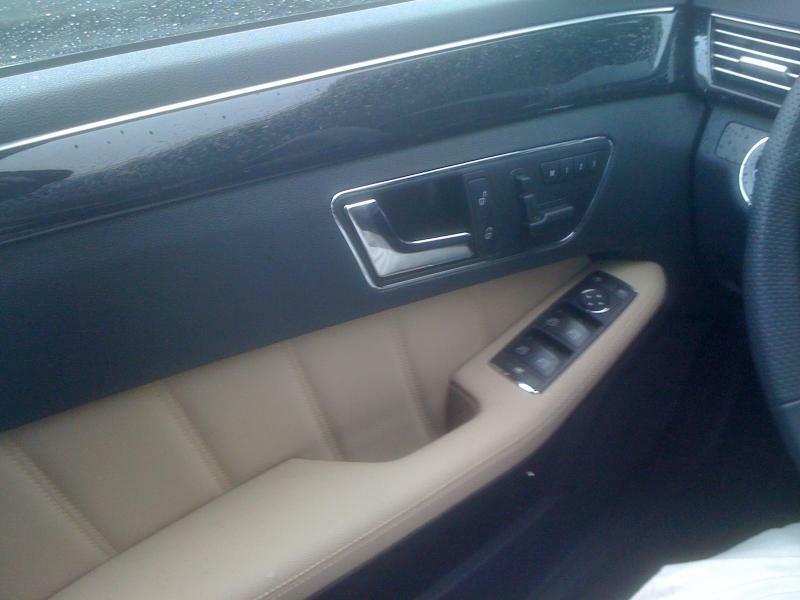 By the way, the "white" interior that Langbart posted is actually Grey, it just photographs much lighter. Below is a picture of a friend's W212 E550 with the Almond Beige two-tone and a picture of my W211. Both Beiges appear darker in person. That color combo is gorgeous ^^. Makes any interior look like it belongs on a car in a higher price range. Thanks, I love it, to me it looks designo. I just purchased a white with two tone interior... It has the AMG sport pack so I think it goes great. We wanted a more sporty feel but comforts of a 4 door..... IMO the best of both worlds! Any ideas how fix light scratches on the interior wood trim? Quick Reply: Got a two tone interior...still like it?